One week ago, the Plain Dealer published an item by Mr. Ted Diadun about “The challenge of covering a race when there is no race.” Like a lot of things involving the Plain Dealer in the 21st century, it’s basically just a lot of sad piled on top of more sad. Essentially, Diadun indulges in some whining about what an unreasonable hardship it is for his colleagues that the Democratic candidate for governor has sunk low in the polls and looks unlikely to revive. Even we can’t fake a competitive horse-race narrative from this, it’s just unfair!, etc. Then, Diadun goes on to announce that, events having simply forced abandonment of standard practices, the Plain Dealer will actually publish some information about other state races (but only the big two party nominees, of course)! You could just picture Diadun with his chest puffed out, simply beaming with pride about what good sports he and his pals are, and how generous it is of them to make such an effort for the community in this way. Unfortunately, I found myself unable to summon up the adulation he seemed to be anticipating. I just couldn’t work out a coherent concept of what he believes political journalism is for, making it difficult to evaluate the Plain Dealer‘s predicament and response on its own terms. Yesterday I made Scottish shortbread. I don’t know precisely how Scottish this recipe is, and even if it’s as French as french fries, this is usually about as close as I get to what one might even loosely call “Scottish affairs.” I don’t even have any scotch whisky at present; I enjoy it, certainly, but y’know, austerity and “times being what they are,” etc. Nothing against Scotland, but as a distinct entity (rather than a share of Britain) it’s a bit out of my wheelhouse. Usually. This year, however, has been a departure from usually, thanks to the approaching referendum on Scotland seceding from the United Kingdom. I have been absolutely fascinated by this campaign. Despite having never been to Scotland, having no personal connections to Scotland, or any direct stake in the outcome of the vote, let alone a vote of my own. I suppose there are a lot of reasons. For one thing, it’s exciting: Re-drawing a map! Splitting a 300-year-old union! Political realignment and international repercussions! “And in English, too,” in the words of The Stranger. This, I should point out, is a simplification; there are all kinds of caveats and complications just within party politics, never mind the independence campaign as a whole. The prospect of unchecked climate change has been around most of my adult life. Without any convincing prospect of pre-empting it, to date. Obviously, “we’re working on it but need more time” remains the official status five years later. When you reach a point where children have been born, learned to walk, learned to ride a bike, completed an education and joined you in the grown-up world, in the time that you’ve been theoretically working on your project… maybe you should at least consider whether you oughtn’t just step out of the way and let them have a crack at it? This morning I read a fascinating item by Hrag Vartanian, at Al Jazeera America, titled “Break up the major museums to save them.” I encourage reading the whole thing, but very very briefly, he argues that the world’s mega museums are already absurdly big, and that rather than trying to make them bigger yet it’s time to disperse their holdings a bit. I have a number of thoughts on this, the greatest number being a product of my upcoming book Cotton’s Library, much of which is about a great collection that eventually ended up at a mega-museum, after a long struggle to prevent its dispersal. Having chronicled this struggle, I’m sympathetic to arguments against dispersal… but it’s really a lot more complicated than that. For one thing, there’s a world of difference between the Cotton Library—even at its maximum extent—and the modern Louvre or British Museum or the Met. Arguing that one or two rooms’ worth of long-associated items should stay associated need not mean opposing the division of composite collections of millions of items. What’s more, the story of the Cotton library actually touches on significant precedents for such division. Since the library arrived at the British Museum as a founding collection in the mid-18th century, the BM has spun off pieces of its collection twice. Its natural history collections departed by slow, slow stages to become the Natural History Museum; the Cotton library itself left the museum as part of the (sort of) more recent British Library. I certainly don’t regard the separate establishment of these institutions as losses. Still, this isn’t entirely what Vartanian is getting at. In fact, he specifically eschews any advocacy for administrative division and instead emphasizes spreading around mega museums’ contents, not just to new buildings in the same city but much more broadly. I largely support this suggestion, though it’s probably a bit of a tougher sell. essentially treating the entire population as suspected criminals everywhere we go, every moment of our lives. Seems to me that when most of your tools are a tyrant’s, everything and everyone is going to start looking like a rebel (which, from a tyrant’s perspective, means “a terrorist”) to be suppressed. This, I might add, is one of the (many) things that makes it difficult for me to see any potential for reasoned dialogue with contemporary American conservatism. Listen to the US right*, and “government health care is tyranny! Taxes are tyranny! Public transportation is tyranny!” Everything, seemingly, is tyranny except large standing armies and unaccountable, omnipresent secret surveillance. This.doesn’t.make.sense. All powerful organizations pose risks, and need to be kept in check, but the hammer-nail effect suggests that some risks ought to be considerably more frightening than others. A health-care bureaucracy that gets high on its own powers might… what? Treat the sick and injured? Or just be really, egregiously bureaucratic perhaps. That’s frustrating, and again, all of these programs ought to have an informed citizenry and our representatives closely managing them. But these agencies decried by conservatives as “tyranny!” are usually okay with that at least in principle. In contrast to the NSA, whose unchecked powers pose a risk categorically more dangerous than do “non-defense” programs, and who nonetheless aggressively oppose the whole idea of outside oversight. Conservatives love to say “give a man a fish, feed him for a day; teach a man to fish, feed him for a lifetime.” The metaphor fails in multiple ways. Additionally, though, there’s too little consideration of what happens when you teach a man to regard himself as an enforcer of vaguely defined “order” and everyone around him as potential threats thereto. * There are exceptions, and bless them, but they aren’t a majority and aren’t setting their party’s agenda. Even with an opposition-party president whom they can seemingly oppose on anything else, whatever he does, a majority of congressional Republicans lined up to endorse leaving the military-surveillance complex unreformed. I had some tests done today. At the moment, the internet does not need my complete medical history, but I feel like noting that the whole process (though it is quite a process) went relatively well. And, all of the results were what one would hope they would be. This has really been a good summer in fact, on a personal level. So I feel like briefly remarking on a few positive items from the past month or so (which has witnessed much that was negative, on a larger scale). Lakewood has a nice farmer’s market every Saturday. I usually walk or bike up and buy some produce. A variety of other goods are also on offer, though, as is entertainment on may weekends. A couple of times this summer, Diana Chittester has performed. I did not know who she was, but I liked her sound, and last Saturday I just sat listening for a while. Wonderful stage presence, even when the stage is a tiny temporary pavilion between the farmer’s market and Marc’s parking lot. I also bought her new CD, which along with all of the others she priced at “what you feel comfortable paying.” I see that it’s basically the same system online, too. Pretty cool. I went up to Holden Arboretum for the first time a few weeks ago. That was lovely. Beautiful central area and ornamental gardens, plus some excellent hiking, at least for me. I hiked way back on the optional loop trails, and felt it for days afterward. (Fortunately I’ve at least done enough hiking that I knew to wear boots.) But it was wonderful, just getting away from everything into plain peaceful trees and nature. A Twitter friend pointed me toward another list of archives that emphasize sharing their content to use, rather than hoarding it with copyright threats and usage tolls. Warren Ellis has been updating a blog again. I’m not entirely sure why it’s here rather than at his main site, but whatever. I’ve been enjoying these little entries since the discovery. Meanwhile I created a favicon for my own site, here, a few days ago and its humorous homage still makes me smile. Finally, the Opportunity rover set a new record last month. I can’t find where I saw it, now, but I recall someone making the observation around the same time that “Mars is now the only planet in our solar system populated entirely by active terrestrially manufactured robots” or something to that effect. That’s also pretty cool. Manned space flight is not really producing much excitement… but, it is possible to look on the bright side and recognize that some kind of colonization of Mars is under way. I have been thinking that I really ought to post something about my upcoming book, here, at some point. I already began building a mini-site a couple of weeks ago, but good form seems to call for some sort of formal announcement here on the main blog. 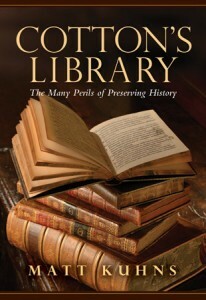 So: I have written another book, and it will be available this fall as Cotton’s Library: The Many Perils of Preserving History. Very, very briefly, this is the story of a proto-national-library founded four centuries ago by Sir Robert Cotton, and its long, (sometimes absurdly) difficult journey from a DIY project to a world-class institution worthy of its contents. (You can read more here.) 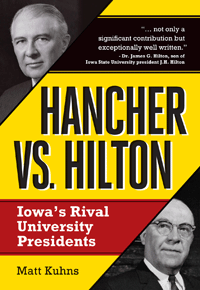 I am proud to add that, barring any surprise announcements in the next few months, this will be the first book-length examination of this important collection’s whole, incredible history, ever. Today seemed like the right day to make this announcement, meanwhile, for two reasons. One, the planned release date for Cotton’s Library is exactly three months from now, on November 17. Which date was long celebrated in England as (the Tudor) Queen Elizabeth’s Accession Day, and is therefore a particularly fitting date to remember Sir Robert Cotton and his library, both of them being products of the Elizabethan era. This feels very encouraging. I’ve done my best to produce a good book, and haven’t necessarily been haunted by doubt. But I still feel a bit like Bryan Talbot in his behind-the-scenes vignette from Alice in Sunderland, after the spirit of Scott McCloud offers the nascent project a thumbs-up. “Yes! This can work!” It’s going to work! Also, my friend confided that “I LOLed at some of the jokes. :)” and… well. Ahem. Good writing, advancing understanding and appreciation of some unsung heroes of history (maybe even making a buck or two? ), all of this is very good. But, y’know. Really, there’s no overestimating the importance of teh lulz. A few weeks ago, the always observant xkcd introduced the instantly familiar concept of the “Timeghost.” These things have been haunting me for years, now, long before I had a name for them. I think the most consistently strange one year in and year out, so far, must however be Transformers: The Movie. Get back to me in several more years, when Hill Valley of 2015 has also slid into the past, and it may have taken over. But at this point, the 20-years-from-now “two thousand fiiiiive” of my childhood has been behind me for most of a decade. As I probably watch this movie about once per year, I saw this weird reality creeping up even before that… and yet, viewing the movie again last night, I was still surprised by this most familiar Timeghost showing off a whole new trick. I’ve got to guestimate his age in TFTM, but it occurs to me that at this point, the Autobots’ boy sidekick Daniel Witwicky may very well be old enough to drink. Yeeesh. Pass that bottle over here Danny. 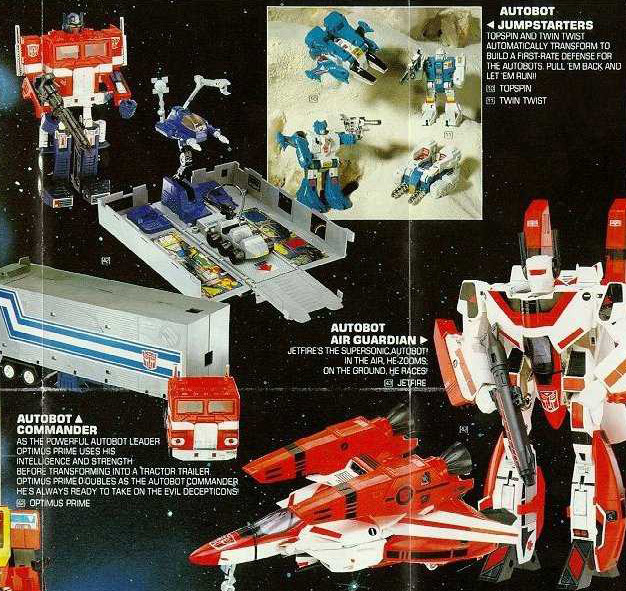 Meanwhile, this got me thinking yet again about how and why it is that at 36 years old, I’m still a fan of Transformers. I’ve go that guy in the upper-left, yes. There are bigger fans out there, certainly. I haven’t bought a Transformer since the last century. But, I’ve been tempted, and I still have three or four of the things around here. I’ve got more than 100 Transformers comics, and those I occasionally still buy. I’ve got a Transformer web site bookmarked, and I still watch the flipping movie (which I must have seen two dozen times by now) once per year at least. At age 36. Can I account for this? This past weekend delivered a valuable climate change lesson, for anyone willing to notice it. Aside from being fed by climate change, the infection of Toledo’s water offers a microcosm of the entire problem. Our waters are treated like a sewer; so is our atmosphere. It’s nonetheless easy to ignore the problem for a long time; sure, that algae bloom looks nasty on satellite imagery but nothing suddenly appeared different the day that people started getting sick. Meanwhile, the sky still looks the same as we vent ever more heat-trapping gasses into it, and the option of listening to “skeptics” seems entirely valid. Yet as we’ve just had a reminder, a day can arrive when the rubber meets the road, and even Kevin O’Brien** (probably) would have turned down the Kool-Aid if it were made with Toledo water. Now we have Senator Portman, e.g., suddenly declaring “I think this is a wake-up call.” Perhaps it would be better to pay attention to environmental safety ahead of time, though, rather than always sleeping in until the alarms are going off? * Or cleveland.com, or Northeast Ohio Media Group, or whatever they’re calling themselves today.